Below you will find photos, range map, recordings, discussion, and field notes to help identify, enjoy and see this beautiful owl. A more in depth write up can be found on its natural history page. Primary single hoot advertisement call (male). Alarm (both sexes) or used by female for soliciting food at nest. 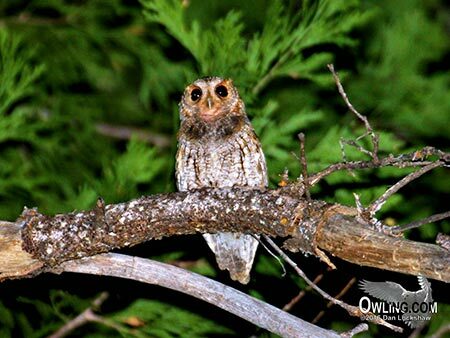 The Flammulated Owl is quickly recognized with its completely dark brown eyes that are not found in any other small owl. The sexes are alike in appearance although the male and female can be distinguished by call (the female has a higher pitched whining call). 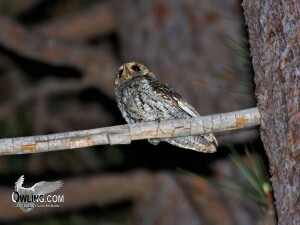 The “ears” are short in comparison with the other closely related genus Megascops (Screech-Owls). Flammulated owls were previously defined together with screech-owls in the Otus genus. Recent DNA studies have found Flammulated Owls to be completely distinct and they have both been divided into their own separate family, Psiloscops genus. 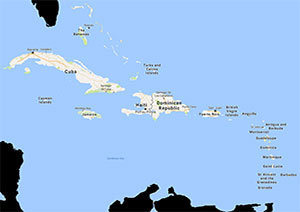 Color varies from gray and brown (gray phase) to cinnamon-brown (red phase). Bill is gray to bluish often with yellowish tip and edges. Length is 6 3/4″ (slightly smaller than a White-crowned Sparrow) which makes this small owl similar to the Pygmy-Owls in size. See the Biology section for a full description. Interestingly, this small owl has a very deep hoot. These low frequency calls travel very well through their typical heavy forested habitat. 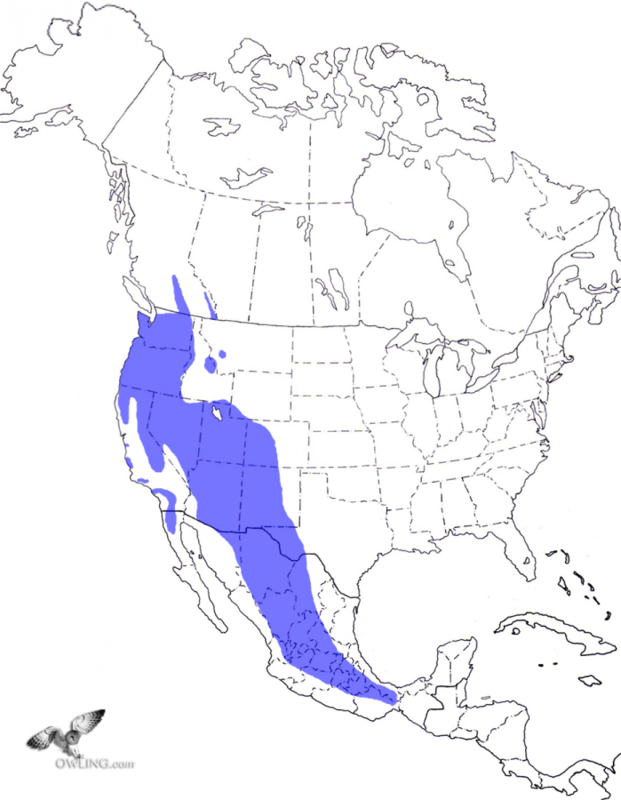 Locating these sparrow size owls by voice is also extremely difficult since their vocalizations are very ventriloquial. Add to this list that they are mostly completely mute except during their courtship periods when attracting a mate. Muir’s comments are understandable when we add up these considerations. This is not an easy owl to see and takes practice. 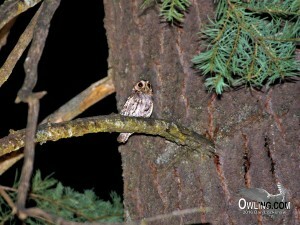 Their low hoot is fairly easy to imitate by whistling or playing recordings. One problem is they are mostly only responsive to calls during peak breeding season (late May may be best). Although they may respond to calls they are not overly territorial. Next problem is locating the owl once you hear them. In general the owl is about 2/3 the distance away your ears tell you they are. 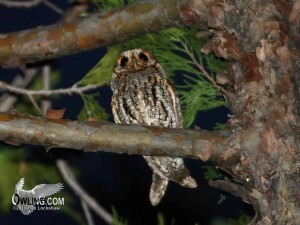 Flammulated Owls are very well camouflaged with earthy colors that blend into the trees. They often sit close to the trunks of the trees. Although some individuals may fly right down to eye level this is not typical. In general they stay about 20-30 feet up in the trees. The owls tend to be loosely in groups or higher densities in a specific area. 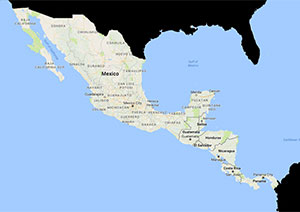 This area may also change year to year. One year they may be in one area and the next year a 1/4 mile further away. This is strictly a nocturnal owl. Peak vocal periods are from about 9:00 PM to 1:00 AM then again from about 3:30 AM to about 5:00 AM. 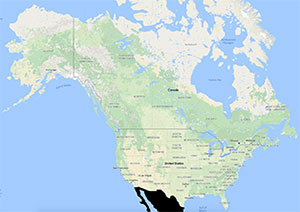 These times vary though depending on how far north you are, how remote the location, elevation, and time of year. In general, go out to look for these owls when human activity is lowest. As with most owls there is a quiet period when activity is low. Remember that owls see and hear at night much better than you do. 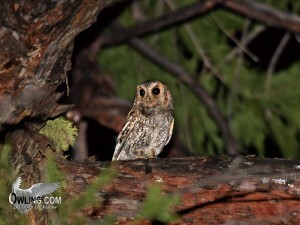 This is especially true with highly nocturnal species like the Flammulated Owl. Be as quiet as possible. Hopefully you will see the owl before it sees you. They locate sounds exceptionally well. Dress accordingly so you don’t stick out from the habitat in preferably dark clothes. Stand in the shadows and/or under a tree. Standing up against the base of the tree will help to break up your shape. Good luck, these are the basics.